Welcome to a small family business dedicated to bringing beauty into your home with vibrant painted artwork. 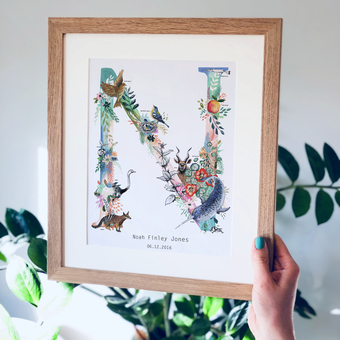 Charlotte Jones Design is run by Charlotte and Arthur Jones, a Mum and Dad duo with a passion for all things painted and crafted by hand, who work as a team together from their Bristol based home studio. 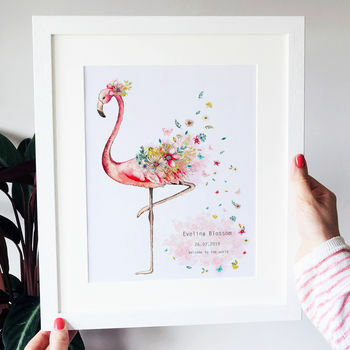 Charlotte is a painter and illustrator who has a 1st class degree in surface pattern design and has previously run her own successful freelance business, 'Charlotte Duffy Design' for the past seven years, specialising in hand painted illustration for cards, stationery and homeware that have sold across the globe. 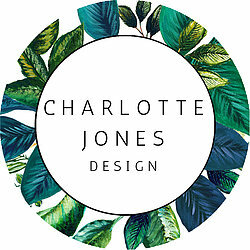 Arthur is a professional full time cabinet maker, and after starting a family in 2016 and becoming engaged, they decided to combine their creative skills, fresh ideas, knowledge of high quality production and love of design to expand and rebrand Charlotte’s small solo business and create Charlotte Jones Design. 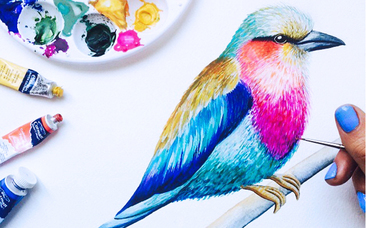 By day, Charlotte is a stay at home mum to their little boy Noah, and by night, she paints. 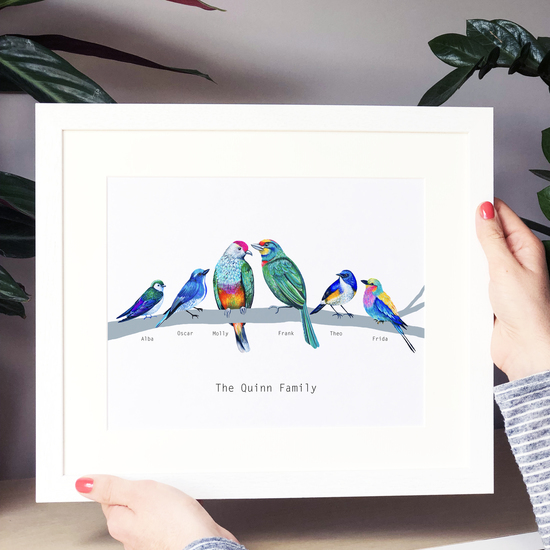 Her detailed and richly coloured nature-inspired illustrations are brought to life in beautiful printed paper products, with everything made to order. 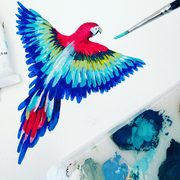 Her work is inspired by colourful birds from around the world, plants, forests, flowers and wild animals. Each step of the process, from the very first sketch of a new idea, to the final thoughtfully gift wrapped piece, is all done under one roof. Every parcel they post each day is intended to bring joy, warmth and happiness to the receiver. They highly value caring for the planet and aim to use sustainable materials for all products and recycled or re-usable packaging. 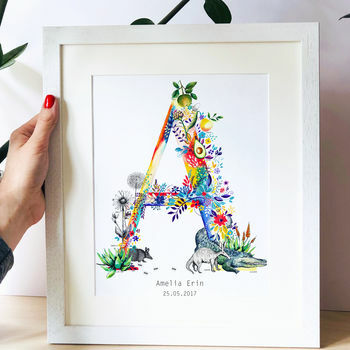 To ensure to bring you products that will be loved for years to come, each reproduction of Charlotte’s artwork is printed in strong bold colour using non-fading inks and high quality paper to ensure long-lasting beauty. "They are really stunning. I’ve has lots of compliments." "Amazing illustration and professional, swift communication from the seller. 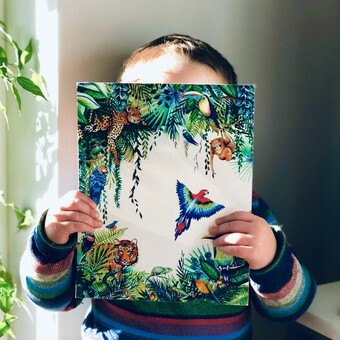 I would highly recommend these beautiful prints. Very talented!" "The seller (designer) was one of the most amazing people I have come across. Extremely willing to help and accommodate my last minute request. 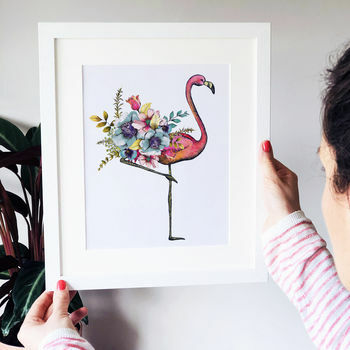 The flamingo print came 2 days earlier than planned, it was very good quality and it impressed the parents of the baby girl. Winner!" 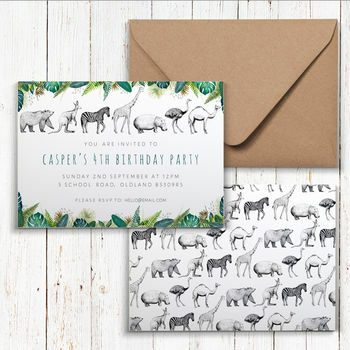 "The service I received from Charlotte Duffy who designed the print was fabulous. She made sure I received it in time for my daughters birthday, so only gave her a few days, and even arranged next day delivery at her own expense. I cannot thank her enough. She took customer service to another level."